FEAST YOUR EYES on this absolutely stunning maxi dress from the 1970s! With luscious rich hues and lovely floral psychedelic prints, what’s not to luurrvvee about the dress?! 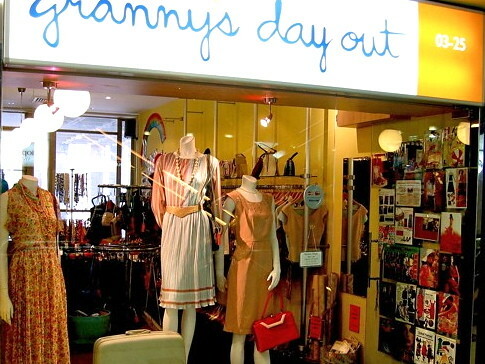 Our dear customer Sharon came in the other day and walked out the shop wearing a whole new outfit from GDO – A pretty 1980s black dress with black lace accents, a 1970s multi-strand necklace, and the 1970s Ruth E. Saltz Cougar bag! In lovely purple and pink hues, this floral print dress is comfy, flowy, and sways with your every move. 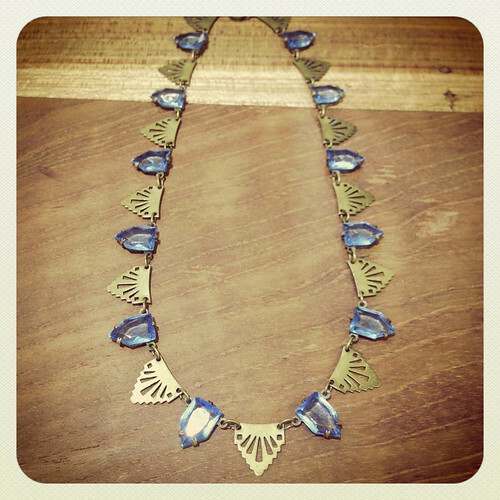 This structural necklace from the 1950s is beautiful and wearable. Signed “Trifari”. 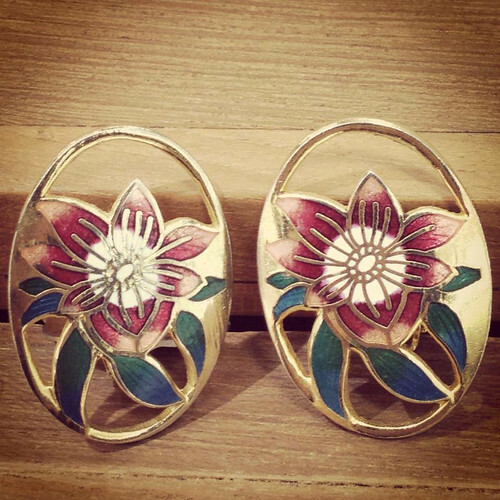 Really pretty 1980s gold clip-on earrings!! Look at this delicate masterpiece from 1930s Czechoslovakia! 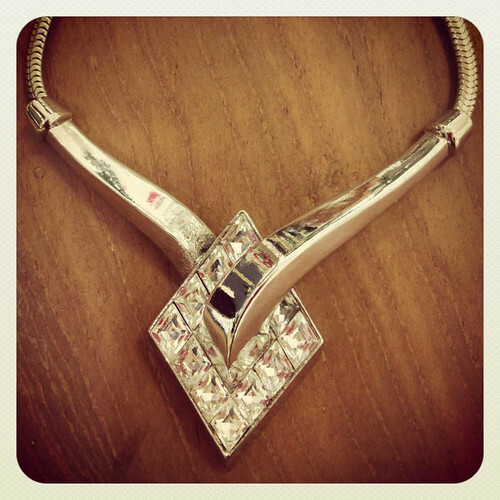 Wearing it would definitely make you feel special! 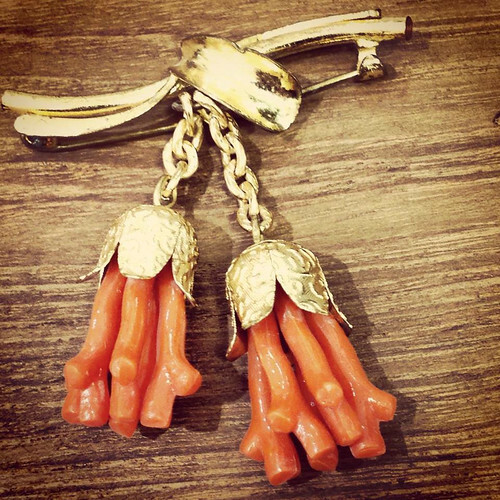 This 1960s coral look-alike brooch is so pretty! 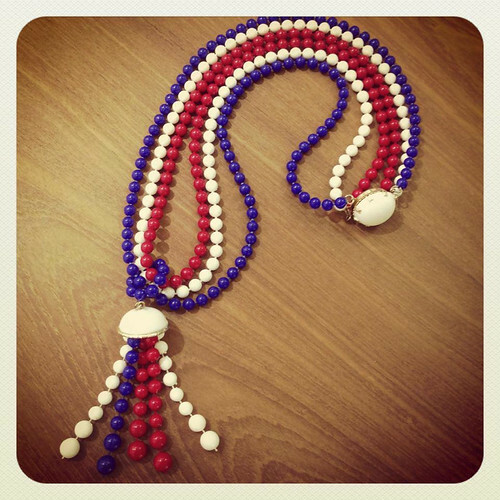 Such a cute necklace in nautical colors! 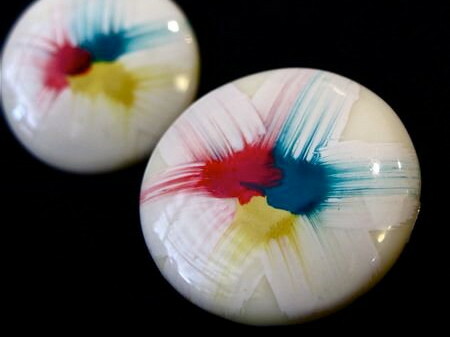 Perfect with a blue/white dress! 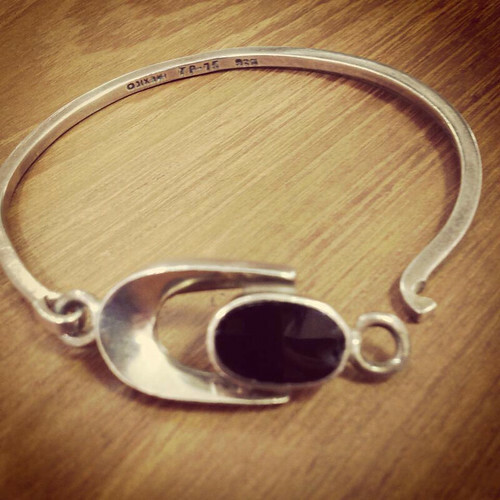 This rare vintage 1970s Silver bracelet is unique and wearable! 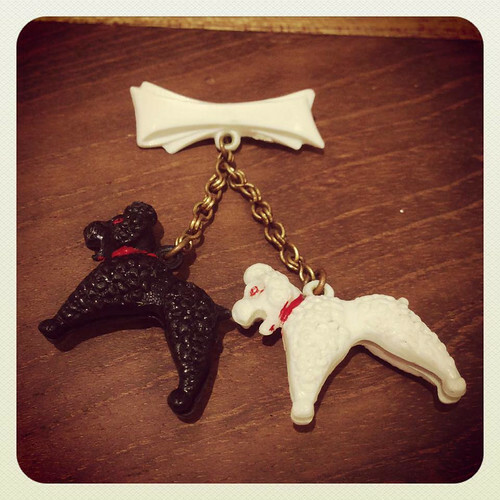 Vintage 1950s brooch featuring two black and white poodles leashed to a ribbon. Such a sweet brooch! This 1980s casual day dress in lovely pale yellow and grey sports three round snap buttons on its left shoulder, which you can wear buttoned up or down. 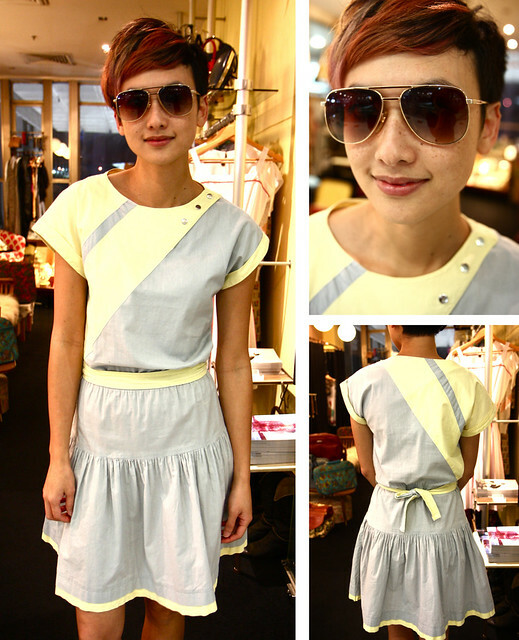 It also features a cute flare skirt and a matching fabric belt!